Take advantage of this Xbox One X deal through March 31st, 2019. At last, Microsoft found a use for the old Xbox 360 stored in your attic. 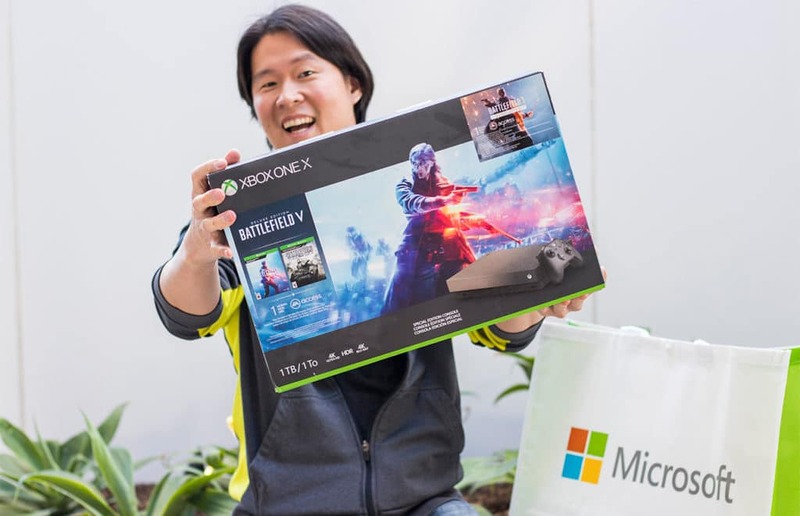 At participating Microsoft stores, customers will receive bonus discounts towards the purchase of a new Xbox One X by trading in their old gaming systems through March 31st. Trade-ins guarantee you at least a $75 credit towards the purchase of an Xbox One X bundle, with up to $200 in total credits available depending on the model of said trade-in. Plus, you'll get $100 off when you purchase in store. That means you're getting a guaranteed $175 off, and possibly as much as $300. You can find your local Microsoft Store here. Old consoles must be functioning and in decent condition to qualify. Ever so generously, Microsoft will accept your Sony and Nintendo devices as well. According to the Microsoft site, it will accept the PS3, PS4, Xbox 360, Xbox One, Xbox One S, PS4 Pro, Nintendo Switch and Nintendo Wii. However, Microsoft declined to provide any value estimations on its website. While it's probably safe to assume the PS4 Pro will be worth more than the PS4, it's definitely frustrating to have little idea of what you're getting in to. When we went in to the Microsoft Store to trade in an Xbox One S, a representative told us that the $200 value was likely reserved for special edition devices that had unique colors and themes. That said, they weren't entirely sure what would qualify. They also informed us that the program was geared towards recycling, not reselling. So you can save some money and feel good doing it! Also, it looks like most places will only accept one guaranteed $75 bonus credit per customer. You can still trade in multiple devices, but only one will get you an additional $75 off your new Xbox One X. Of course, trade value is based on a set of predetermined criteria, and ultimately up to the discretion of local store managers. This promo applies to Xbox One X bundles, as well as individual consoles. The $399 Fallout 76 Bundle, for instance, comes with a copy of Fallout 76 along with the Xbox One X 1TB. However, when you buy any Xbox One X, you'll receive a digital code for Gears of War 4, along with a title of your choice worth up to $60. So, in theory, one could pick up a new Xbox One X bundle with three full games for $99 with the right trade-in. $399 for the Fallout 76 Bundle, minus the $100 in-store purchase bonus, plus the $200 possible trade-in credit. Now, this is just speculation. Some stores may not have the Fallout 76 Bundle in stock, or the manager could decline to include it as part of the trade-in program since it's already discounted. Still, $99 is an incredible price for a Xbox One X 1TB, so it's definitely worth checking out if you have a Microsoft Store near you. 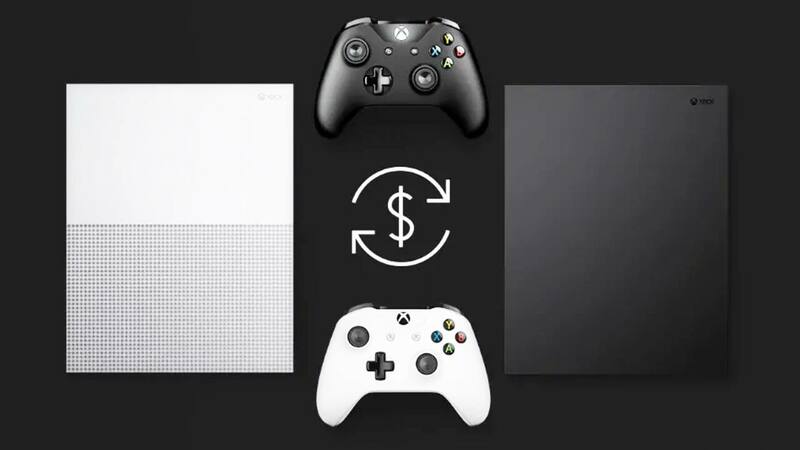 If this Xbox One trade-in promo proves popular, GameStop may need to watch its back. Visit your local Microsoft Store for more details, and set a Deal Alert with us to stay on top of the latest video game discounts. Special thanks to Slickdealer lonjemoco87 for posting the original deal thread! If Carly Rae Jepsen and Sabrina Spellman raised a child, Mick Jacobs would be the result. He plays the saxophone, writes about music, and loves his hometown of Cleveland. His work appears in PopMatters, Spectrum Culture, and Pretty Much Amazing, and his own site Secondhand Setlists covers the live music scene in Los Angeles. A proponent of happy hour, the mall, and public transit, Mick loves nothing more than a good deal.